This FAA approved course is designed to save time away from home by replacing the traditional two day ground school conducted at the Learning Center with a 13-hour eLearning ground school. 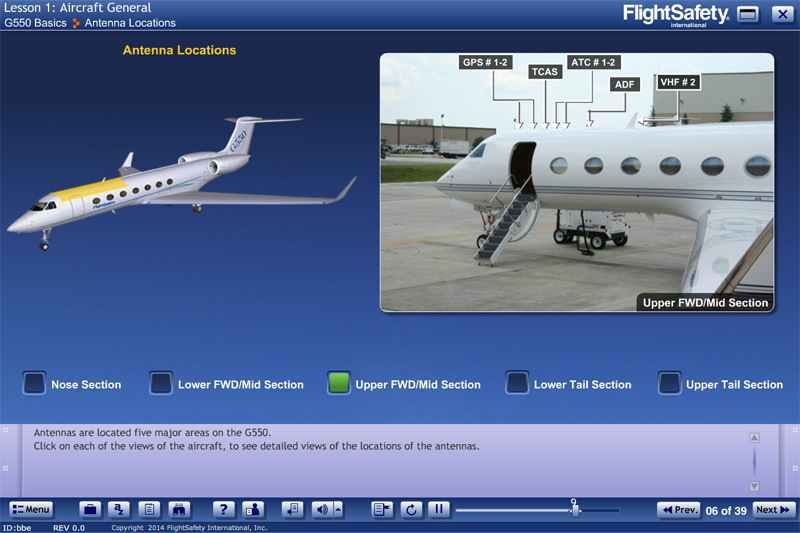 This online format can be alternated every other time with the traditional G550 course training event within a 24 month period. The client must be on a Full Service or 13/2 contract and have completed a traditional Recurrent before being eligible to take the eRecurrent. 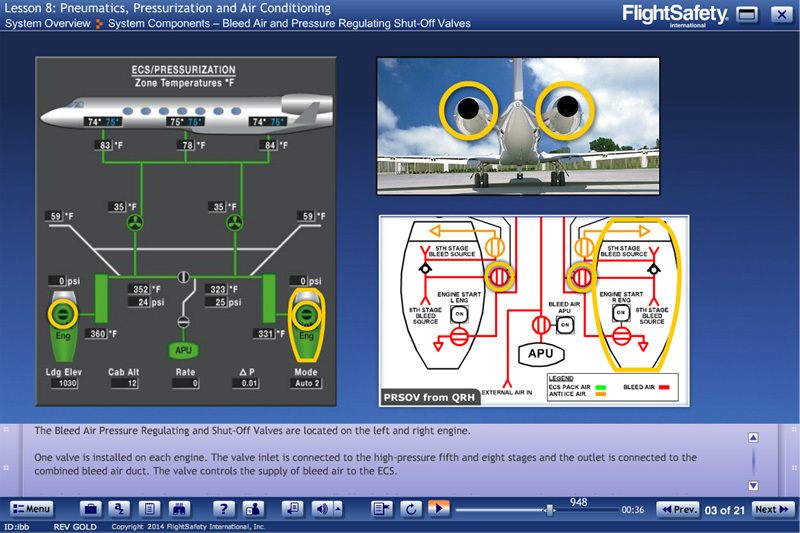 This training is currently available for FAA and EASA clients. To complete the 61.58 endorsement, the eLearning ground school must be completed along with the following items within a 60 day timeframe, from start through the final checkride. Regulatory Requirements: FAA approved under FlightSafety’s Part 142 certificate; Part 135 Operators will need POI approval. Please contact us so that we can support your request. Credit: To be eligible for a 61.58 endorsement, the eLearning G550 Recurrent Ground School, LiveLearning CRM 2.0, the proctored exam, and the Simulator Training must be completed from start to finish within a 60 day timeframe. 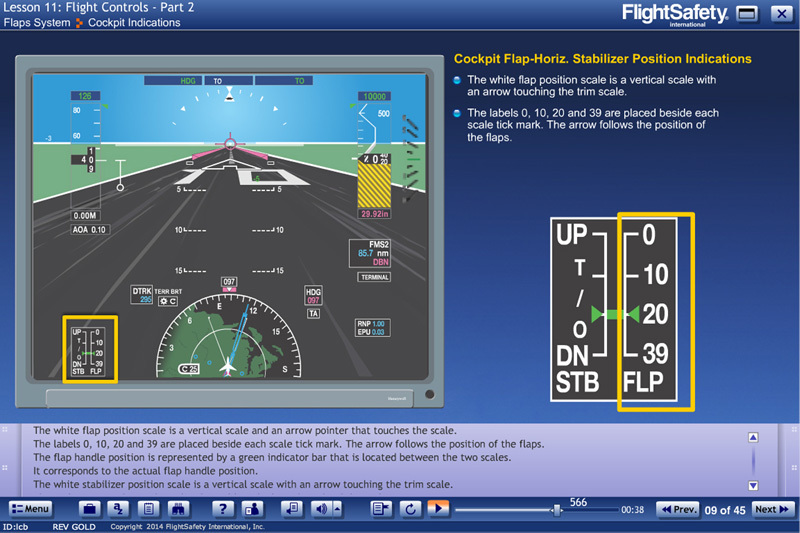 Records of Training are made available on myFlightSafety.